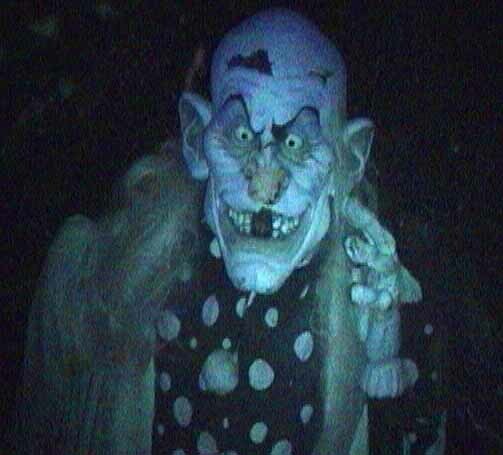 With a history stretching back to the 1990s, Fright Fair Screampark was the longest running, non-theme park Halloween haunt in Los Angeles, until it lost is location after the 2014 season. Last we heard, efforts were underway to either reopen the old location or find a new one, but so far nothing substantial has been settled. 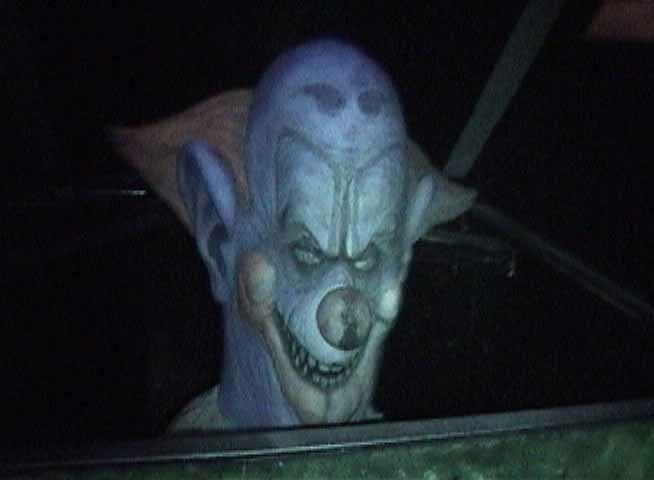 Once a stand-alone, single walk-through maze known as Fright Fair, the event billed itself as the "4 Dimensions of Fear" and claimed that its long walk-through maze, the Factory of Nightmares, featured "four haunts slammed into one." Unlike Spooky House and the Haunted Vineyard, Fright Fair used to set up its haunted house maze in a temporary structure. Consequently, the decor was not as impressive, although there were some memorable props (including a giant cobra over the entrance and a collasal Tesla coil that shoots crackling sparks loud enough to blast your ears). After going on haitus for Halloween 2004, the haunted attraction revived for 2005, this time as a "Halloween Harvest Festival," featuring fun and games for the whole family (hay rides, pumpkin carving, live music). 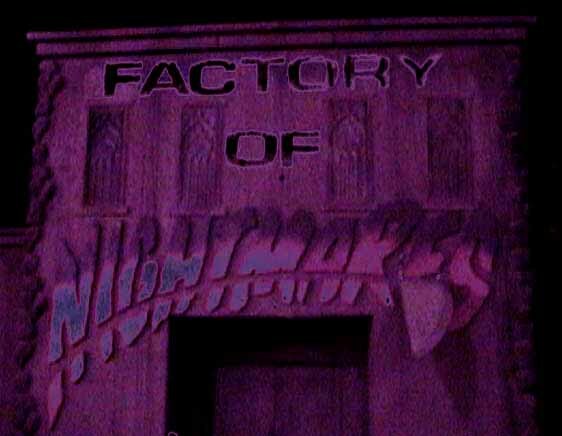 In addition, the Factory of Nighmares haunted house was augmented by a haunted trail, called "Creatures of the Corn," and there was also a separate corn maze without ghouls. After taking a year off in 2004, Fright Fair returned in 2005, expanding to include a Halloween Harvest Festival at Pierce Valley agricultural college, with kid-safe activities (pumpkin carving and hay rides rides) during the daylight hours. The "Screampark"designation was reserved for the scary night-time activities, including the Factory of Nightmares haunted house and the Creatures of the Corn haunted trail. In 2006, the Factory of Nightmares walk-through maze was replaced by a new haunted house, called "Sinister Dreadford's Mansion of Lost Souls;" unfortunately, many of the favorite familiar props (such as the Tesla coil) were not on view. Sinister Dreadford's Mansion did not return the following year. Instead, the Factory of Nightmares was resurrected in 2007, although without the Tesla coil. In 2010, a new haunted walk-through attraction was added, Insane Reaction. With its scary night-time mazes, Fright Fair Screampark offered a horrifying Halloween alternative to the day-time, family friendly fun at the annual Halloween Harvest Festival at Pierce College. The real highlight of Fright Fair was the aggressive tone of the ghouls hauting its hallways, who always go the exta mile to scare the living daylights out of you. Insane Reaction: a walk-through haunt in which the lunatics are running the asylum. The Factory of Nightmares is a traditional indoor haunted house structure, featuring a giant Tesla coil, strobe lights, and lots of loud noises and sudden frights. 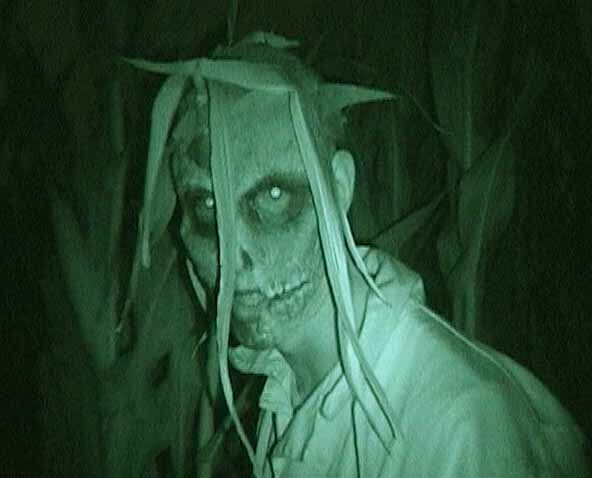 Creatures of the Corn is an outdoor haunt, with ghouls lurking in the shadows along the trail. The Night Adventure Corn Maze is a separate trail from Creatures of the Corn, offering a slighlty spookier time-time version of the traditional corn maze (i.e., there are no ghouls to scare you; you just have to find your way out in the dark). We will let you know if we hear of Fright Fair's return. Meanwhile, those seeking more information can call 818-999-4565; e-mail: info@frightfair.com or info@halloweenharvestfestival.com; or check out these websites: Halloween Harvest Festival - FrightFair (neither had been updated the last time we looked). Check out our archive for Fright Fair.